Straightaway, indigenous medical assistance (AMI), thought of as inherent in the process of colonization, is organized with the aim of offering treatment to native populations, free treatment for the poverty-stricken. With this objective, a network of health services are created which, in peripheral areas, will be under the responsibility of doctors practising in the bush. The evolution of these services is neither progressive nor harmonious. Their installation requires men and means. The population too has to be convinced that scientific medicine is more efficacious than the traditional magical and empiric practices. It is necessary, therefore, to obtain tangible and indisputable results as soon as possible. The two World Wars bring with them a degradation of health conditions, even a complete halt of the services. A new start is made with the arrival of native auxiliaries formed on the spot by the Colonial Health Service. But it is only after the Second World War that the AMI in Africa, freed from its combat against great endemics, functions with real efficiency. This general outline is valid for all the territories with some variations in Madagascar and Indochina. "It is impossible to describe, in a few lines, all the efforts made to create, develop, animate and assure the evolution, following the progress of medicine, of the different branches of medical assistance, the organization of treatment for preventing endemic diseases, with urban and rural hygiene, vaccinations, the supervision of children in school, together with the very difficult responsibilities like taking care of the lepers and the mentally ill, while not forgetting maternal and infantile protection" (Chippaux*). In fact, everything has to be invented to assure public health in these countries where the absence of hygiene is favourable to the propagation of great endemics and malnutrition the cause of dramatic infantile mortality. It is the task of a doctor practising in the bush, isolated in an administrative zone as big as a French department, having undependable means of communication. He goes, after a stay of two or three years, from one colony to another, according to the needs of the service. In Asia, in Africa, in the Pacific or elsewhere, his polyvalent capacities are put to the test. Gradually, dispensaries, maternity wards, little country hospitals are built. In the big cities, the federal capitals of the colonies, hospitals for civilians are opened, admitting the poor for whom hospitalisation and treatment is free. These hospitals evolve in the same way as the great colonial hospitals and their administration and staff are provided by the Colonial Heath Service, working together with the native helpers. A few decades later, at the beginning of the 1960s, in the territories where it has exercised influence, France leaves more than 4 000 different health services in full activity. Among them there are 2 500 dispensaries, most of them rural, 600 maternity centres and 216 hospitals, without mentioning specialist centres, pharmacies which provide medicines and schools for medical training. To begin with, as missions of exploration progress, military physicians treat native soldiers, porters, interpreters and the civil population that asks for aid. But the changes occur rapidly and one cannot call what follows mere assistance. In the period that follows immediately, camping is organized and the families of the skirmishers begin to settle down around the military camp or in the neighbouring village. A physician is present in each gathering and gives free treatment to the women and children of these families. He has an infirmary and small premises for hospitalization. At the same time, contact is made with the traditional chiefs and the demand for medical aid increases. But, on the one hand, it remains informal and, on the other hand, it depends on an insufficient provision of health services. - Medical treatment for civil servants and "as far as is necessary, the European and native population". - Service in hospital centres. - Maintaining health standards during epidemics, in hygiene and public health. These are vast ambitions : in ten years, France has more than twice as many individuals whose health has to be looked after and, of these millions of new "nationals", nearly 100 % are "poverty-stricken" in the most literal sense of the expression. A few decades ago, Algeria had presented the same problem. It was resolved there by the recruitment of "colonial doctors", practising liberally, employed by the Health Service to treat indigenous people. They are an addition to the Army Health Service. The proximity of France, the number and density of the colonists, encourage the applicants. This solution is tried without success for distant colonies, especially those of Black Africa whose climate has a very bad reputation. It then appears preferable to train native medical staff on the spot to strengthen the Colonial health Service. We shall describe many periods in the development of this medical assistance. The example referred to will be French West Africa (AOF). The same process takes place in the other territories. Pacification is theoretically terminated in 1904, though pockets of resistance persist in Upper Volta, Niger and Mauritania. Roads and railways are opened up, navigable routes are largely used. 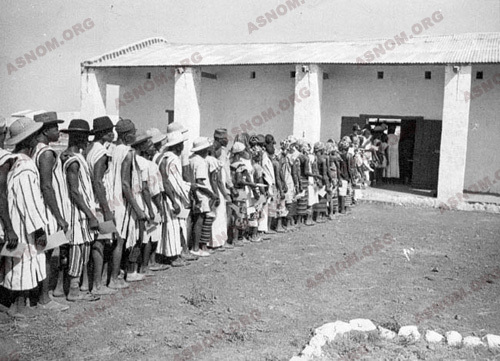 The physicians of the AMI are, almost all of them, from colonial troops, either detached from military service in the case of two thirds or attached to a military unit and cooperating in the treatment of the populations. The first are free to practise all over the district; the others must remain near their garrison - whence the existence of two types of practices, neither of them being truly satisfactory : either a "stationary" doctor who can be consulted only by those who are close to the medical centre or a "mobile" doctor who moves around and treats a larger number of patients living in scattered villages. The number of physicians and chemists is reduced. It will be rapidly increased because it doubles, on the average, during these ten years. Very often the physician detached from military service and working for the AMI finds himself alone at his post with an assistant nurse to whom he teaches essential tasks. The job is difficult, he can become a victim of dysentery, bouts of malaria. In the rainy season, it is impossible to get about. He is not always available to reply to calls from far and wide. And if he replies, he interrupts his activity. Thus, in 1906, when Dupont*, at his post in Koury, sets out to help his seriously-ill colleague Maupetit* in Gaoua, he closes his dispensary and traverses in unavoidable stages - on horseback, on a donkey, in a hammock - the 300 Km which separate the two large villages, across a land which is still hostile, infested with glossina and other black flies. For three weeks, the dispensary in Koury is closed. Of course this works to the advantage of the local healer whose medical practice has been forbidden by a decree of 1887 but who is always available. 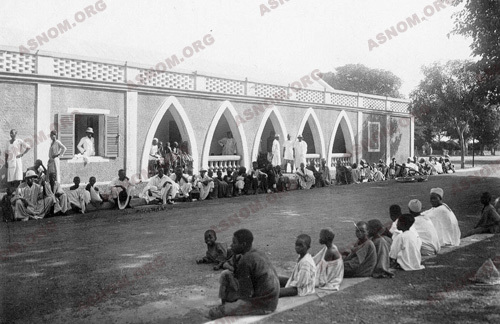 In 1911, a dispensary is finally established in the circle of Ouagadougou, whose surface area is equal to a dozen French departments and whose population is 1 500 000. Two physicians are appointed there, that is to say, one doctor for 750 000 inhabitants ! What sort of medicine can be practised in such conditions ? Everything depends on the doctor, his enthusiasm, his generosity but also the means he has at his disposal. Lassitude, loneliness and disappointment at seeing patients returning to empiricism are the factors that cause discouragement. On the other hand, the discovery of new worlds, the observation of unknown clinical signs in different patients leads to itemizing new diseases, to determine the limits of their propagation, to do the work of a "discoverer". The situation may seem absurd: on the one hand, France cannot cope with the enormous needs in personnel in the expanding territories (in medicine as in pharmacy, education takes a long time and recruitments are limited); on the other hand, the physicians on the job don't have a lot of work because the populations are suspicious and techniques in which a scalpel or even a simple intravenous needle is used seem to them fearsome. In fact, attendance at medical centres falls. In 1906, the physician in Gaoua treats, all in all, 200 patients, that is, less than one a day. In Koury, between October and December 1906, 100 patients come along of whom 7 are hospitalised in the dispensary. From 1909, attendance increases. Meanwhile the physician has made himself known by going out on campaigns of anti-smallpox vaccination and proving that he had the power of protecting against this disease. Moreover, it must be admitted that western medicine had only limited efficacy at this time, even if it was superior to the practice of the local healer. Duvigneau* publishes in 1900 "A Medical Guide to Congo and the Countries of Equatorial Africa" in which, except for quinine, anti-venomous serum, purgatives and antiseptics, all the other medicines mentioned have disappeared from medical memory. The First World War brings with it profound upheavals in all the territories. First the military physicians are called back to the fronts in Europe: in Guinea, they are 20 in 1914 and 10 in 1916. Dispensaries are closed. The physicians who are left are called upon to participate in recruitment campaigns, others accompany the colonists fighting the Germans in Togo and Cameroon. The AMI is weakened, if not completely paralysed. Many years will pass before it recovers its capacity of 1914. The shortage of staff is a problem; budgetary restrictions make matters worse - the paucity of medicines, of bandages, of material and the total dependence on provisions from metropolitan France. The surgical service of the hospital of Conakry operates only on urgent cases. The campaigns to recruit skirmishers in 1915 provoke uprisings and lootings in certain regions, particularly in the centre of Upper Volta. Order is established rapidly but at the cost of the destruction of harvests, the abandonment of villages and the displacement of populations. The severe droughts which follow one another from 1910 to 1916 further precipitate the displacement and wanderings of the rural population. So it is at the time when the AMI is at its weakest that the risks of contamination by the cohabitation of undernourished individuals are at their highest. Leprosy and trypanosomiasis are well-known but onchocercosis isn't as yet, and the first cases of onchocercosis cysts described in Senegal are observed on the bodies of Voltaic recruits, who could become sources for the propagation of this filariasis - which is extremely worrying. It is at the end of this period that "white Russian hygienists" arrive. Forced to leave their country because of the Bolshevik revolution, having become refugees in France where they could not practise because they didn't have French diplomas, work in the African AMI is proposed to them from 1922 onwards. As they cannot be called doctors, they are given the title of hygienists. They do the jobs of auxiliary physicians. However, during this dramatic period, the first changes that will give a new lease of life to the AMI are set in place, and this time it will grow into an organisation that is a remarkable instrument for maintaining health. As early as 1917, the Governor General, Joost Van Vollenhoven, announces his policy of making the well-being of Africans his main preoccupation. If these regions are to develop, their inhabitants must be in good health. He underlines the importance of medical assistance and the maintenance of hygiene. At the end of 1917, he creates villages for lepers and gives Salomon* the task of organising the fight against the disease. 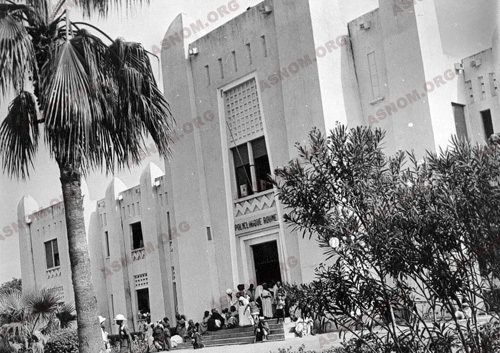 In January 1918, his successor; Angoulvant (Van Vollenhoven is killed in battle in France) signs a decree inaugurating the Dakar School of Medicine, whose graduates are going to give a new impetus to the AMI. The first graduates come out in 1923. Finally, in this same period, new medicines become available that are efficacious against trypanosomiasis whose proliferation threatens to put black people in peril. 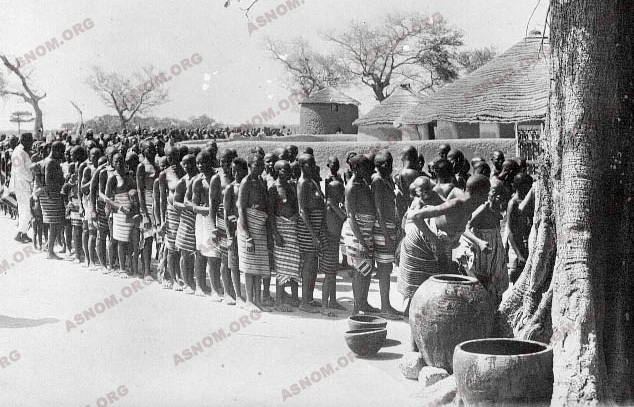 In French Equatorial Africa, from 1921, following the instructions of Jamot*, the fight against the greatest endemic, trypanosomiasis, is no longer confided to the AMI. This does not mean that an AMI doctor does not treat trypanosomiasis when he comes across it during his consultations, not at all. But, whatever the devotion and commitment of the physicians - Le Hir* loses his life in the combat - the immobile dispensaries and the programmed visits cannot check the advance of the disease. From now on, the fight is led by special mobile teams which explore the whole of a territory and open sleeping-sickness asylums where patients found to have the disease are treated. This same procedure is introduced into French West Africa only in 1939. This delay of two decades, in comparison with French Equatorial Africa, is fatal to tens of thousands of patients. 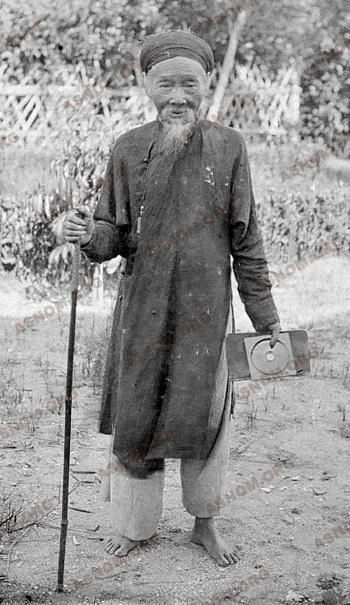 - Every principal town of a colony should have an ordinary hospital sufficiently equipped with services of surgery, radiology, bacteriology, a laboratory and food-distributing centre. - Every district should have a dispensary with a maternity clinic. - Medical posts are created in important villages as well as treatment centres and look-out posts for observing the prevalence of endemic diseases. - Civil status must be established and demographic statistics investigated (that will be more difficult). The number of physicians increases rapidly and so do the health budgets which are tripled between 1925 and 1927, each colony being invited to contribute from 7 to 12 % of the whole budget. At the same time, the first qualified physicians from the Dakar school are ready for employment. From 1939, auxiliary doctors and chemists are more numerous than those in the Colonial Health Service. They are given greater responsibilities. Complete health benefits will be achieved only several years later, towards 1928-30. Meanwhile, the number of consultations and deliveries double between 1924 and 1931 and the period of hospitalization increases eight-fold, whereas the number of people vaccinated varies little, showing that the campaigns of anti-smallpox vaccination have been extremely active. 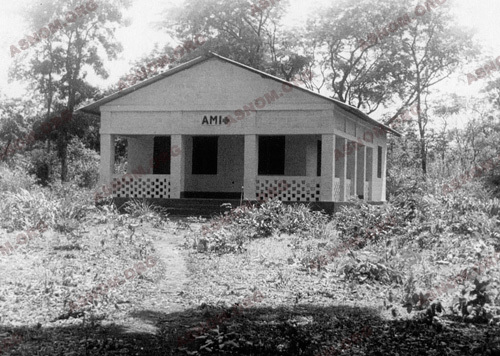 Just before the Second World War, the personnel of the AMI of French West Africa (AOF) consist of 165 physicians and 14 chemists of the Colonial Health Service but also 34 civilian physicians engaged with contracts or drawn from the National Health Service, 32 "Russian hygienists" and, above all, 184 African physicians who have been trained and have graduated in Dakar. The Conference of Brazzaville marks a turning point in French colonial policies. One of the most important decisions of the Commission for Hygiene and Health, of which Vaucel* is the spokesman, is the replacement of SGAMS, which is concerned with a single disease, by the "Service général d'hygiène mobile et prophylaxie" (SGHMP), which is polyvalent - that is, it deals also with other great endemics and provides vaccinations. The term "indigène" is no longer used and medical assistance service will receive the epithet "autochtone" (AMA). The AMA devotes itself to curing individuals, to the decontamination of towns and villages where its centres are established. The confidence of the people has been entirely won over and long queues of patients are to be seen in front of dispensaries. The bush doctor is able to exercise his diverse faculties. In 1949, the AMA has 852 medical centres of which 8 are hospitals. When Independence dawns, the service functions smoothly without any trouble. The colonial physicians and chemists (who have become naval officers again) stay at their posts (in cooperation with the new administration) and will be disengaged only gradually, to the rhythm of the graduation of national physicians from the African faculties and their recruitment by the new states. What is novel in Madagascar is the rapidity and precocity with which medical structures to ensure health services to the Malagasy population are set up. 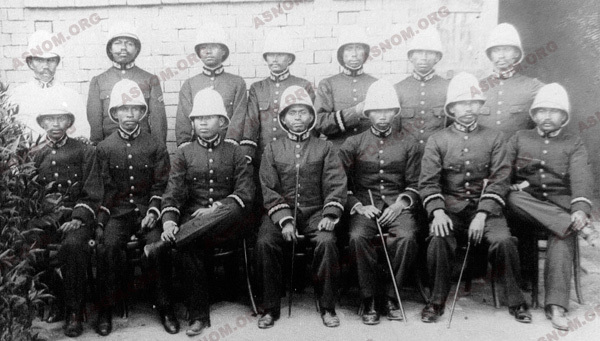 - The Malagasy monarchy and government already have faith in Western medicine and when "the big island" becomes a French colony, one sees, together with numerous traditional healers, a physician who has qualified at the Ecole de santé militaire in Lyon, Rasamimanana, and some forty physicians who have graduated from a school of medicine created in 1880 by an English protestant mission, The Medical Missionary Academy. In 1898, Galliéni opens the Antananarivo school for training "indigenous colonial physicians". - Another particularity is the simultaneous establishment of schools for physicians and schools for midwives. The problems of maternal and infantile protection are taken into consideration from then on. In 1950, there are 356 Malagasy midwives in the medical centre of the island. - Finally, it must be noted that, straightaway, the young graduates are free to exercise their profession wherever they want to. In the three following years, ten physicians complete their studies and all ten install their clinics in Antananarivo or around it, always on the High Plateaux. The ambition of a medical service covering the whole territory is compromised. A group of "Indigenous colonial physicians" is then created in 1903. They are recruited when they pass competitive examinations at the end of their studies. The qualified physicians who are not recruited are free to settle where they wish. They are called "free doctors" and can only practise in Madagascar. Besides, they can be called upon to work for the AMI in their town. From 1929 onwards, those who pass the competitive examination can work for the AMI for a minimum of ten years. In 1950, there are 350 "Malagasy doctors", working in the health services together with 65 physicians, 9 chemists and 9 administrative officials of the Colonial Health Service. Malagasy medical assistance is enhanced at the same time by the increase in medical establishments from 145 in 1904 to 405 in 1924, going on to 662 in 1932, among which there are 57 hospitals, 45 maternity hospitals, 233 "delivery centres", 20 dispensaries, leper-houses and other health centres. In Indochina, from 1903, The Director of the Army Health Service, Grall*, conceives a project of medical assistance for Indochina: "Indigenous Medical Assistance (AMI) will be assured by the physicians of the Colonial Health Service, detached from military service, while awaiting the arrival of recruited French civilian doctors". In 1906, 23 government-paid posts for civilian doctors are set up, of which 14 are granted to military doctors who have resigned or are retired and 9 to civilian doctors from France. It is obvious that this number is insufficient for the needs of the country. So, a large number of posts are given to physicians detached from military service and those in service who are experienced in treating the population. A novel feature of French colonialism is the attraction exercised by Indochina on French civilian doctors and chemists. Their relative numbers were, from the beginning, higher. However, a good many of them are retired military men who have served their country. Another feature is the fact that, since Catholic missionary work began a long time ago (the 17th century), there are many church establishments whose activity is also directed towards health and well-being. Their efforts are generously supported by the AMI. At its inauguration, the AMI depends on the direction of the Army Health Service in Indochina. In 1909, a General Inspectorate of the AMI is created which becomes totally independent of the Military Health Service in 1931, but continues to be directed by colonial military physicians, retired or still active, such as Hermant* (1931-1937), Heckenroth* (1937-1940), Botreau-Roussel* (1940-1945), Doroll* (1945-1950). Members of the staff are still borrowed from the Colonial Health Service. The number of physicians increases rapidly : 45 in 1907, 115 in 1910 of whom 40 are detached from military service, 128 in 1931 of whom only 26 are from the military. There are 6 chemists, 5 being detached from military service. These figures remain more or less unchanged in the years to come. In 1902, a School of Medicine directed by Yersin* is opened in Hanoi. The students are engaged for ten years of service at the end of their studies. The first graduates qualify in 1907 and, a few years later, they are more numerous than the French physicians. A Pharmacology section is opened in 1914, then a section for Dental Surgery. The war of 1914-1918 slows down this evolution during a decade, at the end of which the AMI sets about all its activities vigorously. Anti-smallpox vaccination is generalised with six vaccination centres. Vaccination against rabies, initiated by Calmette* in 1890, is accessible everywhere. The great Far-East cholera epidemic of 1926-1927 is controlled by serotherapy and vaccination (12 million doses are used for a population of 20 million). BCG is administered in all maternity hospitals in Indochina from 1927 onwards. Beyond this fight against endemics, health protection is extended into the field of water conveyance, the elimination of impure water, in general towards better hygiene. Meanwhile one observes the development of rural hospitalisation. The increase in the number of health establishments bears witness to this : from 336 in 1921, they pass on to become 573 in 1931, among them 127 hospitals, mobile hospitals, lazarettos, 414 infirmaries, maternity centres, 4 institutes of Ophthalmology, 17 asylums and 10 leper-houses, all of which represent 13 860 beds and correspond to nearly 4 million days of hospitalisation. As for consultations, they double every seven or eight years. The fight against tropical endemics is intensified. In 1936, The School of Medicine in Hanoi is transformed into a Faculty of Medicine. In 1939, 29 chemists, 321 physicians and dentists educated in Hanoi work for the AMI. From 1940, because of the World War, Indochina is isolated. The production of quinine is sufficient for the needs of the territory; it is even possible to export it to neighbouring countries. In 1945, the country enters a war that lasts thirty years. The AMI then functions only in the provincial capitals or in the great urban centres. 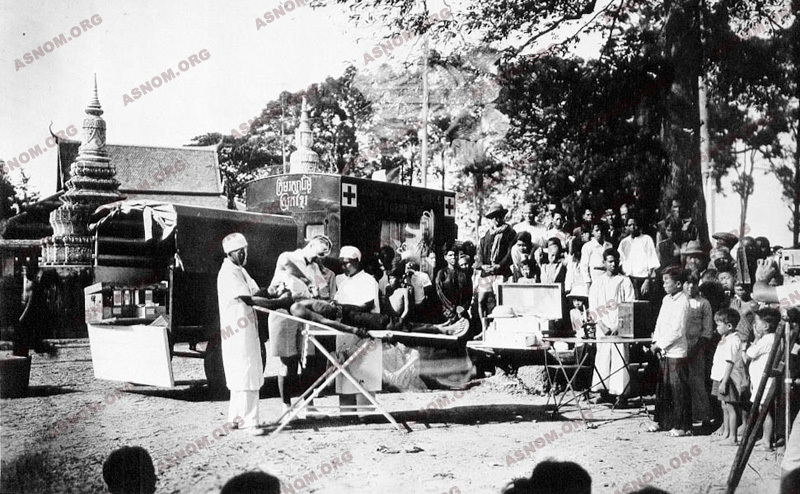 The health service for the colonial troops does its best to satisfy the needs of the civilian population with its own establishments still open to the Indochinese. The Grall Hospital of Saigon, taken over by the French Ministry of Foreign Affairs with its military personnel, remains open to the civil populations until 1976.